The US has experienced the 5th wettest year on the records. Record-breaking storms are becoming common across the country and your roof could be in danger. Rain, snow, ice, and wind already cause enough stress. The last thing you need is for a storm to damage your roof and cause catastrophic loss. These things happen though and you should learn what to watch out for. 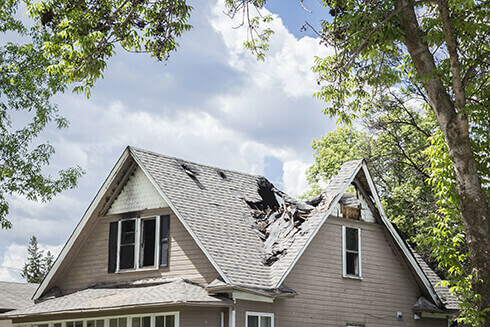 Keep reading to find out 5 ways that storms can cause roof damage. Climbing a ladder and walking around on a roof, especially a damaged one, can be very dangerous. 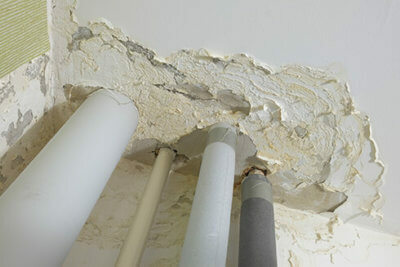 Unless you are fully prepared, you should always turn to a professional for serious repairs. Once you have identified the problem, prepare properly for the next steps. Many different things can happen during a storm. These aren’t all of the possible problems, but they are some of the most common. Here’s what to look out for and how to handle roof damage from a storm. Strong winds can and will carry all sorts of items and they can land on your roof and cause damage. Falling limbs, not just from your own trees, but from neighbors as well, can pierce your roof or cause other structural issues. If you live in a place that experiences strong wind, check with your homeowner insurance and see if they have tree coverage. 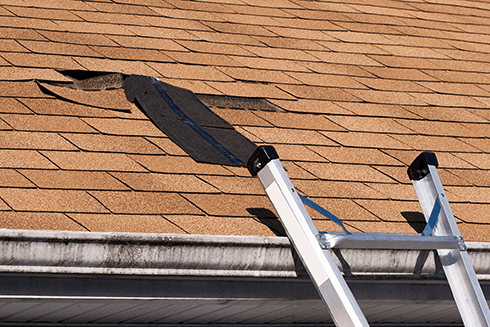 Clean off your roof sooner rather than later and inspect for any damage before it gets worse. Water will always find a way in if there’s one available. 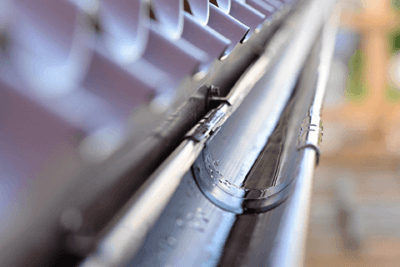 Small holes and cracks can go unnoticed which may allow water to seep into your roof and stay there. Trapped water will cause several types of roof damage. It can weaken your roof over time and the weight will put too much pressure on the frame. When it comes to hail, most people think of broken windows and dings on their cars. You shouldn’t forget about what it can do to your roof. During a hail storm, your roof is being hammered by balls of ice that can get pretty large, potentially causing serious problems. Hail can create holes and cracks in your roof, leading to problems like trapped water which we already talked about. Always do an inspection after a bad hail storm, especially if you received other damage during it. Snow can be very pretty, but also very frustrating. After a snowstorm, you may have noticed a lot of snow on your roof. The weight alone is enough to cause damage to your roof, but it generally melts enough that it slides off before that’s an issue. In some cases, ice dams can form. Ice dams are when the water in your gutter freezes and essentially blocks the snow from melting and sliding off your roof. This is a dangerous thing to deal with and you should contact a professional. 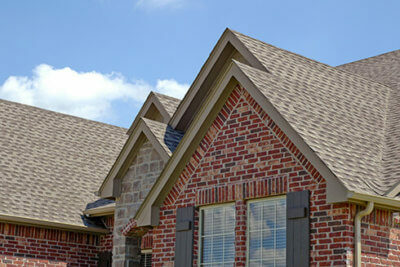 Storms bring wind and debris that can knock shingles off your roof with ease. If this is happening, it should be your top priority to have your shingles replaced. If you’ve lost enough, you may want to consider getting your whole roof outfitted with new shingles, you can even pick different colors. A quick inspection of your house after a storm can save you time and serious money. If you aren’t sure what to look for but think you might have an issue, there are companies that can help you look for any problems. Roof damage is not something to sleep on. If you notice any potential issues, call a professional roof repair company immediately.